*This post is sponsored by Simpson Strong-Tie®. You guys know I'm friends with Simpson Strong-Tie®. I teamed up with them to build my Tall Printer's Cabinet and my Rolling Outdoor Island. In fact, I have the privilege of being named one of the 2016 Simpson Strong-Tie Brand Ambassadors. 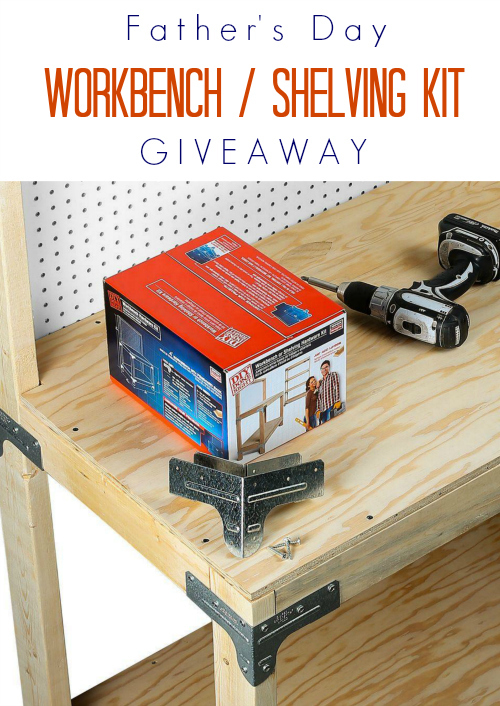 Not only does Simpson Strong-Tie manufacture thousands of structural connectors and fasteners, they make this cool Workbench/Shelving Kit and I'm giving one away, just in time for Father's Day! 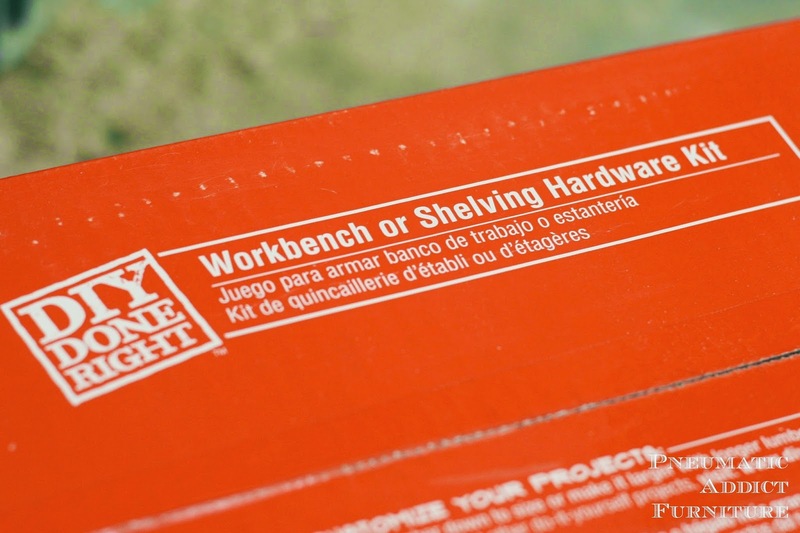 With the kit and a few supplies from the hardware store, you can help Dad build a strong workbench. Using the kit, I created a couple of heavy duty shelving units for my garage. 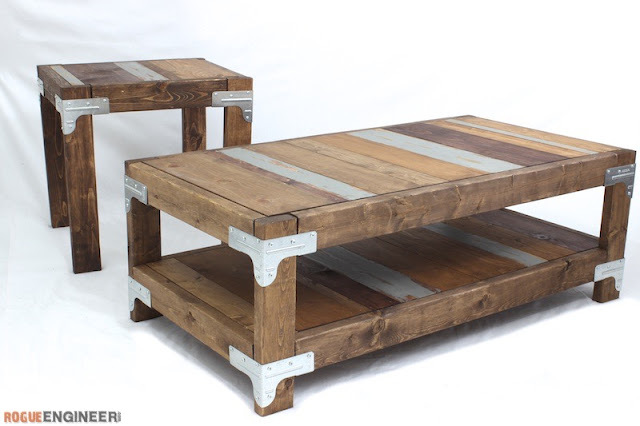 Or you might get fancy and build something really beautiful like this industrial coffee table from Rogue Engineer. 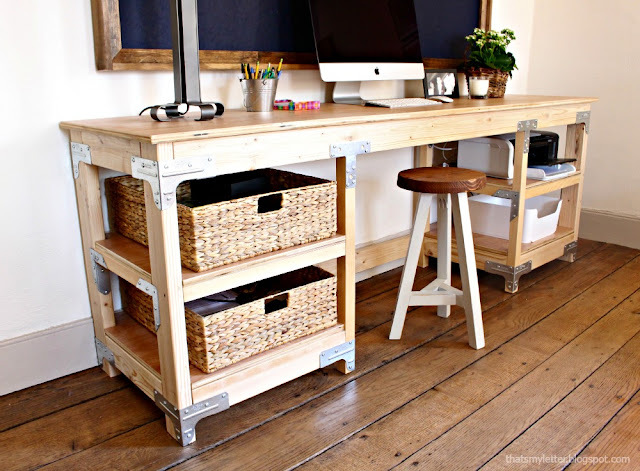 My friend Jaime from That's my Letter used the Workbench/Shelving Kit to build this amazing desk. If you want a chance to win an awesome gift for Dad, or just plan to keep the kit for your own selfish needs, enter the Rafflecopter below and follow @StrongTie on Instagram for chances to win. Make sure to check out DIYDoneRight.com for project ideas and inspiration. Thanks for the giveaway!! Love the industry look! I'm so happy to be starting my DIY/construction journey! New place for a collection of new tools would be greats since my dads are probably from wedding gifts when my parents got married lol! Would love to win this for my husband, but cleaning out the garage first to make a home for it might be the better gift--this would just be icing on the cake! I am self taught wood worker....love to make things! I follow you and like your blog...lots of good ideas!! Would LOVE to win this....sure would make things a bit easier!! Would it be ok if I gave the kit to me? My birthday IS next week,and truthfully I am probably the only person I know that would actually use it, all my friends/family (girls and boys) are all a bunch of sissies, LOL!!! I would love to use it to make something awesome!!! maybe a workbench style desk.... THANKS!! WONDERFUL! Just the thing for me - sure hope I win this - thank you for the chance! I would give this to my mister. Thank you so much for the chance to win! Hubby is good at putting things together, and this would be an awesome gift for him! Thank you for this giveaway! As I am recently divorced, and my father passed away, I'd keep it for me!!!! I need it! Love this blog! My hubby would love it! Would love to try this out for my husband for in the garage! I'd love to build a workbench for my husband with it. I would give this to my husband. I think he would like to make a desk with it. That coffee table looks pretty gorgeous too though! This would stay with our household. 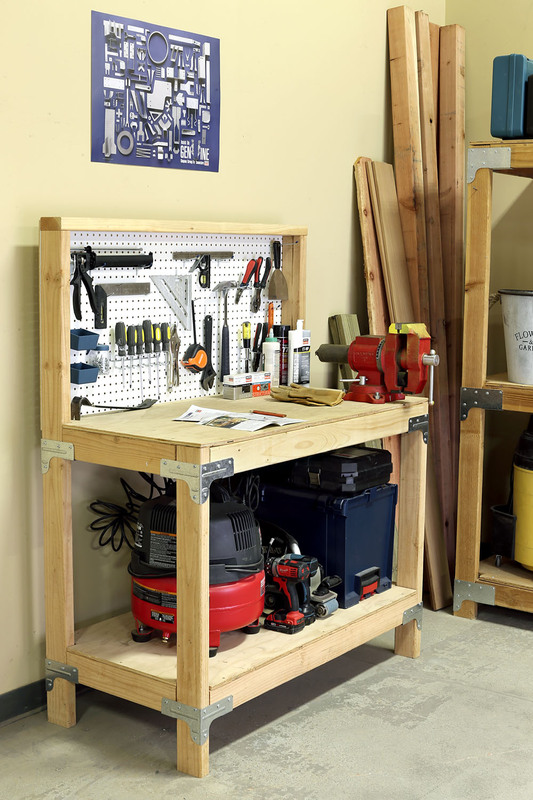 We could use a shelving system in our laundry room, and this is a great kits to start with. 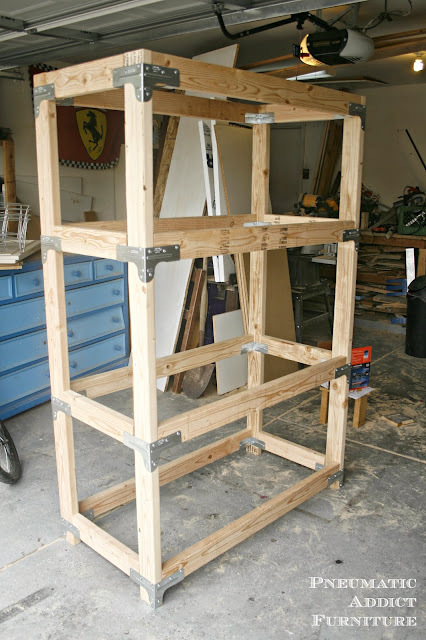 I would make shelves for the garage too... you can always use more storage!